We’re entering a new world and the changes are going to be more profound that most people realize. 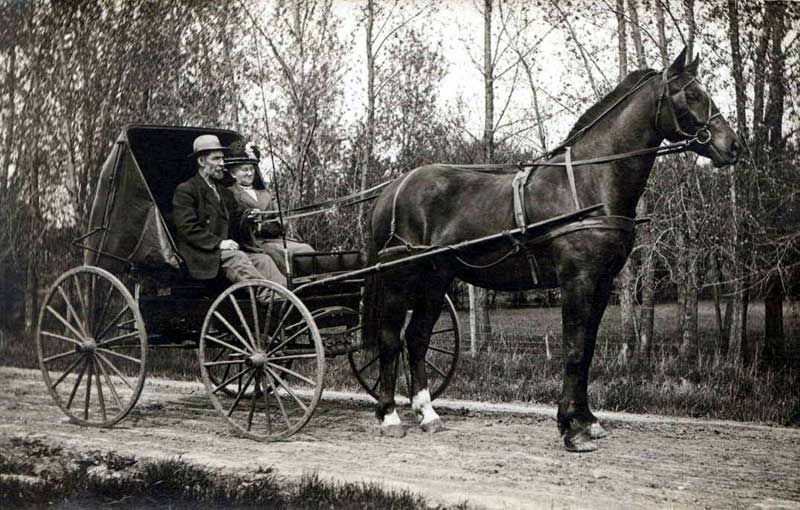 From 1900 to 1930, the world shifted from horses to horsepower. When I moved to Grass Valley in 1986, there was still an old gold miner who rode his mule into Nevada City to get food and supplies. That mule was his “vehicle”. 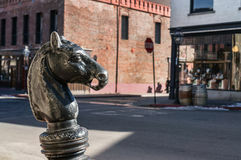 There are hitching posts along Broad Street still today, though likely most don’t know what they are. That old mule was a fairly common site in town, though cars had long since taken over the vast majority of transportation. The Chief Crazy Horse Saloon still had a brass trough beneath the bar stools. Few people knew that the trough was so that men at the bar could just pee without leaving their stool, the run off heading out into the street. Tunnels under the streets ran from the respectable pubs over to the frequented brothels “respectable” men couldn’t be seen entering. It was a different world 100 years ago with remnants (hitching posts, pee troughs, and under street tunnels) lingering long after customs had changed. The shift from Internal Combustion Engine (ICE) cars to Electric Vehicles (EVs) will be no different. EV’s simply cost less to own and operate, so ICE cars are dead whether they know it or not. From 2000 to 2030 the world will shift again. This time from gasoline cars to electric cars. There will certainly still be gasoline cars driving around a hundred years from now, but, as with horses, gasoline cars are already today like zombies moving around yet not knowing they are already dead. In about 3 years it will come as an enormous surprise as people learn their used ICE vehicles are worth less than they expect, and ICE automakers begin to go bankrupt. As people switch en masse to EV’s, there will manifest a glut of nice, almost new, ICE engine vehicles on the used car market. Why spend money on a brand new car when you can buy a 1 year old car for a big discount? The impending glut of barely used ICE vehicles is what will suddenly bankrupt ICE car makers as their sales drop suddenly and they are stuck with inventory they can’t sell. The shift this time will be far more dramatic as it encompasses more than just vehicles. Batteries store energy and pay it back out again when needed. If the original source of energy was gasoline, it would make little sense to store it in batteries. But if the original source is solar or wind power, then it does. What’s interesting today is that solar power systems last longer than it takes to pay for them. At utility rates, it takes about 7 years to pay for a solar power system. They are guaranteed for 25 years and may last to 100, albeit with a replaced panel now and then. Once someone installs a solar power system they will never again purchase power from a utility as it costs less money to maintain the solar power system. In a nut shell, electricity is today, becoming free. Do you need some electricity? Here, come have some of mine, I have too much. Come charge up your car and take it over to your home (or business) and use it if you want. Monthly gasoline bills, wealthy oil producers, so 20th Century. EV purchasers don’t need gasoline. They instead need a solar power system for their home or business. Electricity from utilities (in California) to charge an EV costs about 10% to 20% of gasoline, and with solar, it’s free. But what else does one need or desire to go with an Electric Vehicle purchase? Well, the obvious is a well built vehicle that works. Next comes low price. And people tend to prefer to purchase a new class of vehicle from a manufacturer with 3 or more years of experience building the new technology so that it has been proven in the field. There are precisely 2 vehicles on the market today that most people can choose between: The Chevrolet Bolt and the Tesla Model 3. Every other EV has too short a battery range, though it is hoped the Nissan Leaf will in September join this list, and, by 2020 the list will likely contain as many as 10 choices. And the other models with adequate range cost too much for most people. EV’s have one other large need: “Charging”. This is a need that is new to gasoline car drivers and as a result, it’s one that isn’t yet fully understood by EV purchasers and or by the general business world who see an opportunity to get into the “gas station” business by installing a charging station at their restaurant, bowling alley, or grocery store. But what do EV owners really need? What’s ironic is that the majority of charging stations being installed are missing the mark of what an EV owner really needs. 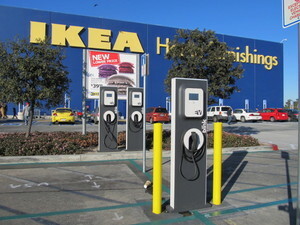 They are being installed by business owners who don’t themselves own, an EV, in hopes of winning income from charging. When you own an EV, you will typically plug it in at home every night just like a smart phone. You keep it charged so that every day when you take it out for a drive, you begin the day with a “full tank of energy”. You don’t need to charge up at the local store. Ever. Really, you never need to charge at your local supermarket. You may do so, but purely to get some free electricity the store offers it’s customers for shopping at the establishment. And if the store is going to charge for the charge, it’s cheaper at home. Safeway, McDonald’s, Costco, Home Depot, and myriad other businesses will no doubt provide free charging stations with slow charging so that the cost to the store is a dollar or two in electricity. The store wins the customer for a small electricity cost. For the customer, the money reaped by charging isn’t much and the “close to the entrance” EV parking space is probably the more valuable benefit. The point is, an EV owner with 200 mile plus range really doesn’t need in town local charging at all. They begin every day with a full tank of energy and only need charging on long trips. Few people travel 100 miles let along 200 miles in a normal day. So the place where charging is really important is out on the Interstate freeway system. If I want to travel from Sacramento to Los Angeles, I need charging. And if I’m on a long trip and need charging, I want it to be as fast as possible. So, I want fast charging along Interstate freeway systems. Fortunately there are a large number of fast chargers along Interstate freeways. Unfortunately (for most auto makers) they are all Tesla Superchargers. Tesla is installing it’s Supercharger network as a proprietary EV fueling system world wide. No other company has a comparable charging network, game set match Tesla. Other car companies are just now working on charging systems called Super Fast that are half the speed of Tesla SuperChargers. Greentech Media recently published an article, “Top 10 EV Ready Cities”. I like Greetech Media, but, ……..Who cares? EV owners do not need EV ready cities to live in. They have a fueling station at home that costs less and is more convenient than any local charging station. They also have a 110 volt plug that can connect to any outlet, anywhere, in an emergency. They leave home each day with a 200 plus mile range and can easily scoot around to any stores they want and get home with typically more than 150 miles to spare. What EV owners need is a good system of charging stations along highways that get them to places far away. They need charging when they go on vacation to Yosemite or Disneyland, not when they go shopping in town. In California, there are a ton of charging stations along highway 99. They have been installed in Stockton, Modesto, Fresno, Bakersfield and so on down the length of the state, by businesses hoping to attract some EV charging business. And perhaps whimpy EV’s with a <100 mile range may bother to plug into those stations. But real EV’s with a 200 plus mile range like the Chevy Bolt and Tesla models, don’t need to. Anyone driving from North to South in California prefers to take Interstate 5 down the center of the state where Tesla Superchargers reign supreme. I suppose by now there are enough charging systems that the Bolt can make it down the state along I-5, but the charge times will be longer than any Tesla. Chevrolet’s site says it “only” takes 30 minutes to charge 90 miles of range using their “Super Fast” chargers if you can find one. That means, it takes an hour to charge the battery pack by 180 miles so that you can make a next stint down I-5 to Los Angeles. Add 2 hours to your trip and you can make it, again, assuming you can find these rare Super Fast charge stations along the route you need to follow. Not bad if that were your only choice, but it isn’t your only choice. You can instead purchase a Tesla Model 3 and “fill up” in about 30 minutes. Tesla has built out the equivalent of the “Shell” or “Chevron” or “Standard Oil” or “BP” or “Fliers” chain of gas stations. So Tesla is indeed a car maker. But it is also an energy delivery company, which is what gas stations have been all along. The new energy to be delivered is electrons, not hydro-carbon molecules. And while there are a large number of charge stations other than the Tesla network, those typically have slower charge times. So, if you’re going to purchase an EV, what you really want is to have a well established company, Chevrolet, Tesla, Nissan, and others are coming soon. You want a vehicle with several years in the field, Tesla and Nissan remain. And you want a large charging network with fast charging capability for those times you take a long distance trip, which leaves only Tesla. Tesla is the only choice for anyone who want’s to shift to an Electric Vehicle today. Check Mate Tesla. While other companies claim they are going to ramp up and compete with Tesla, they don’t have battery manufacturing to install into their cars, so their words are vaporware. And even if they did, there isn’t a network of truly fast chargers to power them on long trips. No doubt the other car makers and oil energy companies will figure this out and a few of them will avoid going bankrupt by finally offering what EV owners really need, as has Tesla already. But several companies will certainly fail to make the transition before the glut of nearly new yet used cars renders their new car sales zip and they go the way of Kodak, as ICE cars are no longer desired. If you own an ICE car, as you most likely do, get ready to sell it before its resale value drops sharply. You have about 3 years before the events detailed above kick in. I can remember my mom pulling into the gas station and buying gas. The price was 25 cents per gallon. When I started college, I worked at Donner Gate Chevron gas station next to Donner Lake and Lake Tahoe in the Sierra Nevada mountains. 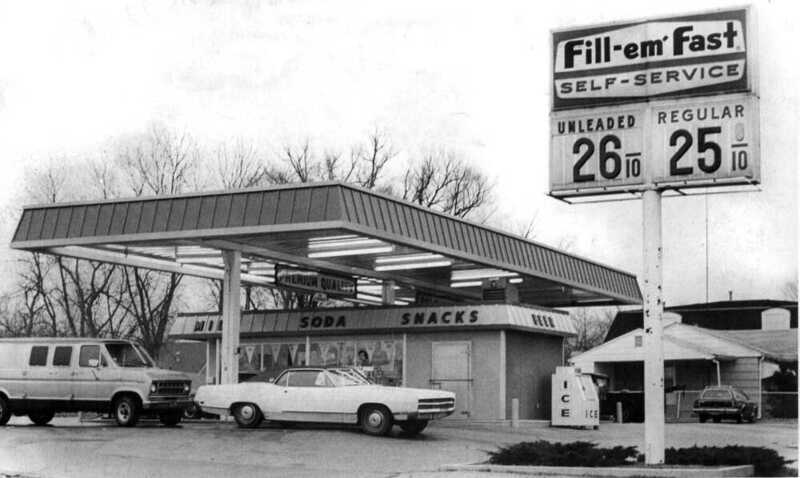 The price then was 50 cents per gallon. One year later when I returned to work at the station a second year, after the Arab oil embargo, the price had jumped from 50 cents per gallon to $1.00 per gallon. Oil producers profits no doubt doubled overnight due to the manufactured shortage. A while ago, the price had reached over $4.00 per gallon after a steady and relentless series of price hikes over a period of a few years and then, overnight, the price dropped to as low as $2.20. Why? What would you do if you had an asset (oil) and you wanted to maximize your income from that asset? You own a lot more than can be sold in a year and in fact, you own many decades worth of the asset. To increase income you can increase the number of barrels you sell per year at a fixed price, or, you can increase the price per barrel at a fixed volume. The former will consume your reserves more rapidly, whereas the latter will preserve them. So of course you will desire to increase the price per barrel of oil and that means, increasing the charges per gallon of gasoline at the pumps. This is what we saw up to about a year ago when the price had reached as much as $5 per gallon at some stations. Then, all of a sudden the price dropped. I can now find gas stations selling gasoline for $2.20 per gallon . It seems like a short time ago I paid $4. 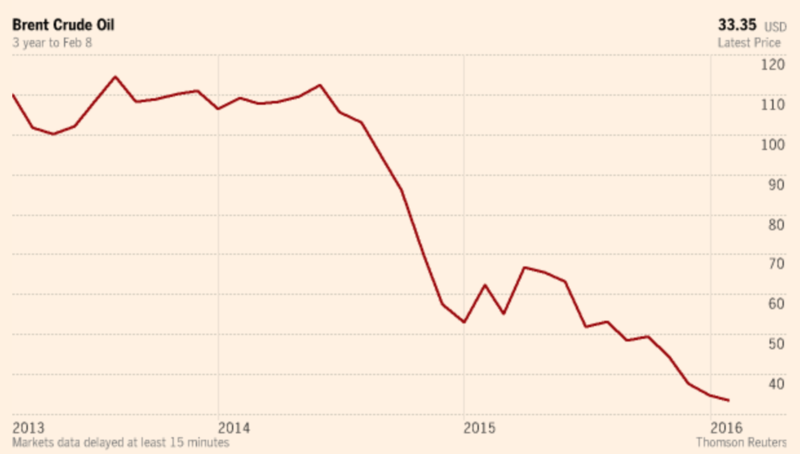 Certainly the cost of getting oil out of the ground didn’t get cut in half in 2 years. What happened? I don’t want to complain, but having lived a life where the cost of gasoline has steadily increased, this is unusual so there must be something that motivated it. But what? I think what happened is that Oil Giants began to believe in Electric Vehicles. Sales of the Tesla Model S were growing steadily and rumors of the Model 3 had likely been heard. In 2015 Tesla announced the Model 3 and in 2016 received ~500,000 pre-order deposits for the ~$35,000 consumer car. 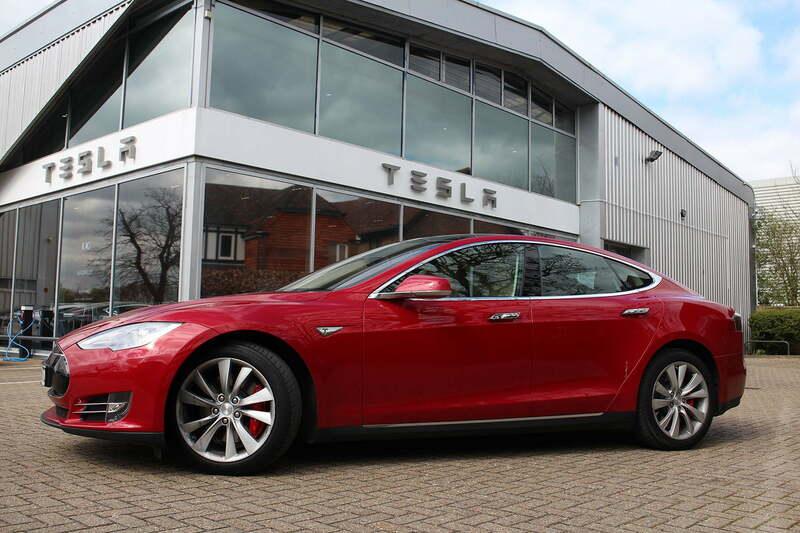 This car will have a range of over 200 miles, similar to it’s Model S and Model X cousins. Both of these cars, while pushing the boundaries of technology, work. They are real items available for purchase, that actually move down the roadways carrying their owners to and from work and play. All of those pre orders sparked Chevrolet to step up it’s EV program and announce that it would release the Chevy Bolt in late 2016 as a 2017 model. The Chevy Bolt will also have a 200+ mile range and be the only competitor to the Tesla Model 3. In fact, the Chevy Bolt is according to their web site, available now with the Model 3 coming out within about a year. How well the Chevy Bolt fairs in the market place remains to be seen after their fiasco with the EV1 and the ensuing revolt documented in Who Killed the Electric Car? At the same time, virtually every other car maker flipped their EV development programs into high gear. The Tesla pre orders took everyone by surprise, including Tesla. What it showed, is that people have not been purchasing EV’s because the range has been too small. I for one have not been interested in an EV for exactly that reason. If I need to drive to Sacramento (50 miles) for business or shopping, drive around 30 to 50 miles running errands and then come back home, the round trip distance is easily 160 miles. With a 50 mile range EV, I can’t make the trip. With a 200 mile range, I can. This is simple. Even the Nissan Leaf with ~100 mile range is worthless to me as I’m not going to hunt around a parking lot for an electrical outlet to plug in so I can get back home. The number of times I need to travel close to 200 miles in a year are small, maybe 10 or so. But they are not 0. And I want my car to work for every trip I need to make. I could deal with charging on a trip to San Francisco airport for a vacation, but not to Sacramento, a day trip. OK, fine. People want an EV to have more than 200 mile range. 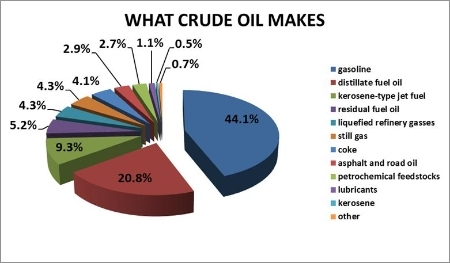 But what does this have to do with oil? For the first time we have 2 viable solutions (Model 3 and Bolt) to transportation that get their “fuel” from an electrical outlet instead of a gasoline pump. This means I can now install a 2 or 3 kW solar power system to fuel my car forever, and never have to go to buy gasoline again. Up to $5.00 per gallon gasoline in 2015 helped fuel the 500,000 pre orders for Tesla Model 3’s a year later. I think this is why the prices dropped. The oil industry woke up to the fact that EV’s are a real threat to future oil sales. You see, they were pushing for increasing the dollars per barrel for their hundreds of trillions of dollars of assets still in the ground. But what they finally managed was to piss people off to the point that many decided enough is enough. They gave rise to a significant number of people who are now bothered by the smell of gasoline as they fill their tanks. People purchasing solar power systems for their homes are realizing they can add 2 or 3 kW of solar power and use that to fuel their EV forever. Think of that: the owner of an EV and a solar power system will have free electricity for their home and free “gasoline” for the car, (essentially) forever. All of a sudden, completely counter to all past experience, increasing the cost per gallon of gasoline engendered a revolt. It led to a reduction in future oil consumption and an increase in EV sales. This (Model 3 deposits) was the first time in history that a significant number of people, all at once, put their money where their good intentions were and decided to make the switch from gas to electricity. I suspect certain oil industry experts woke up and realized that they had just given birth to a movement that would render their vast underground wealth, worthless…… or at least, worth less. This “Oh Bleep” moment was quickly countered with an overnight price drop. Fortunately for the planet, this reaction was too little too late. 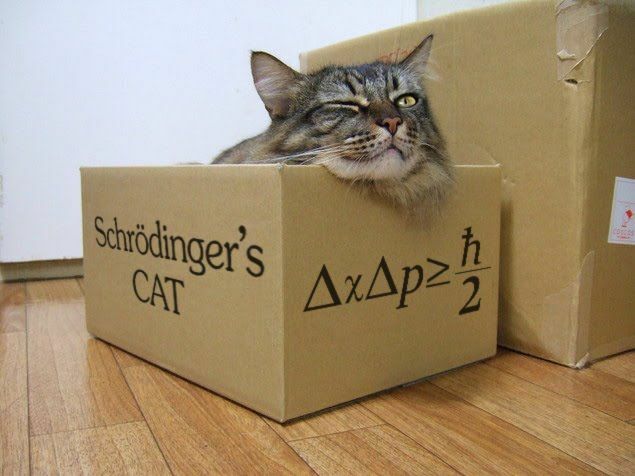 A number of people woke up, opened their eyes and saw Schrodinger’s Oil Cat…… and it materialized. The EV revolution was born and there is no going back to the previous unknown state of affairs. Sure, we will still use oil for plastics and fertilizers. 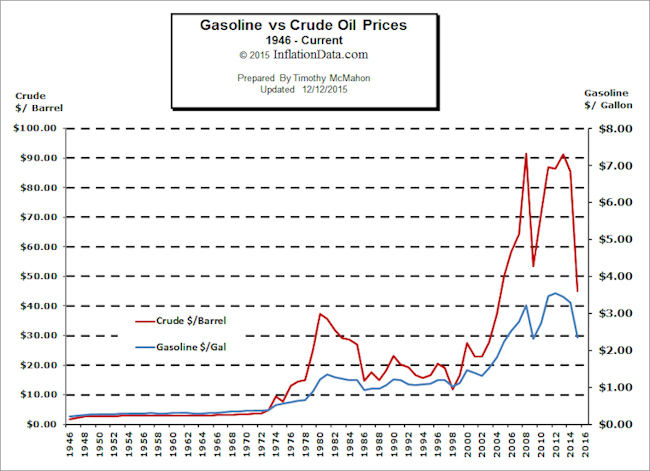 But gasoline and diesel for transportation has been the largest consumer of oil pumped out of the ground. If that industry is replaced by solar energy harvested from the sun, via EV adoption and battery storage development, then it will take a tiny down turn in consumption to cause an enormous battle amongst oil nations as they vie for declining demand. It will become a consumers market and this shift is likely to happen in just a couple of years as new, 200+ mile range EV’s come to market. By 2020 we will probably have 20 to 30 new EV models with over 200 mile range. For the first time since the earliest days of oil, it may well be that we are about to have more oil produced than people desire to burn. Demand reduction will drive even larger price cuts as oil producers have a lot of oil to sell, with a declining customer base to sell to. 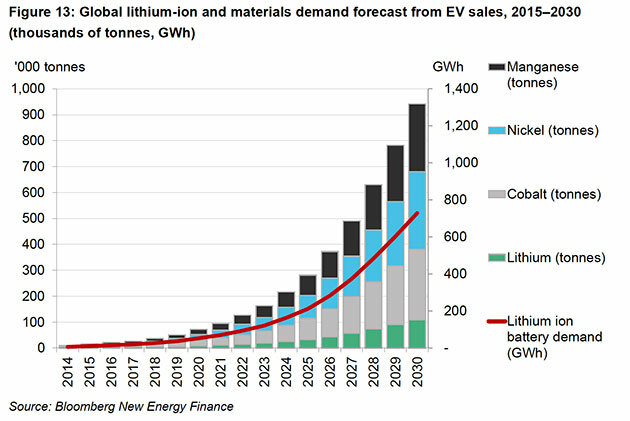 Producers will be competing to sell their product (gasoline and diesel fuels) amidst a market glut **if / when** half the market is eliminated by electric cars fueled by solar (this assumes batteries improve). And we all know what happens when supply is large and demand is low…..prices drop and companies (or in this case countries) go bankrupt. The countries that produce oil at the lowest cost will hold on the longest while those with higher overhead will go bust. It would be wise to invest in technologies beyond black gold, IMO. This may turn out to be the best bad thing ever to happen to the industrialized planet. In other words, this is great news for the environment. And it’s exactly the outcome Elon Musk hoped EV adoption might produce. Congratulations, almost, Elon. the cards are in play and the outcome looks highly likely. I’d sell that oil stock before the end game becomes obvious to the stock markets. And Oil Countries, I’d try to figure out what you’re going to sell when no one wants oil for cars and you actually need to produce something useful or go back to your pre oil status. Happily, a reduction in oil sales will reduce funds now used for terrorism. Want to help stop terrorism, then go buy an EV and a solar power system to fuel it. Ironically, the oil in the ground may well stay there far longer than Hubbert’s Peak projected. Keep an eye on battery storage cost reductions and performance improvements as that will be key to accelerating this transition. If the cost per kWhr storage is cut in half, and the storage capacity in kWhr/kg per unit weight is doubled as is anticipated by some, then EV adoption will take off in spades. An EV car for the masses with a 400 mile range, costing less than a gasoline car and enjoying zippier acceleration, near zero maintenance, and no stops at a gas station….. would rock the industry. Already it costs something like $6.00 worth of electricity to charge a car to the same range as $60.00 worth of gasoline. Solar energy today, fully amortized, costs about 8 cents per kWhr so a 70kWhr battery pack costs about $5.60 to charge. Let’s see, do I prefer spending $240 per month on gasoline or $50 per month for a solar power system I purchase and own (amortized 20 yrs at 6%)? To be fair, the cost of “fueling” an EV is misleading. The cost given by EV makers and by me here, does not include the replacement cost of the battery pack. This is the piece of the puzzle the EV manufacturers haven’t wanted to talk about in the past. The cost per mile for the battery pack was large, and ruined the claimed low cost. However, even that negative is already eliminated. The amortized cost for a replacement battery pack is already below $100 per month and this will likely fall to below $50 by the time someone actually needs to replace their EV battery pack. At any rate, the EV’s being sold come with new battery packs, so this is an issue most buyers don’t consider. So I give the EV a full green light. The industry is ready to go, indeed, it is going already. When I can afford it, I intend to purchase an EV and install 3kW of solar power to fuel it forever. Sure, in 30 to 50 years one solar panel will fail this year or that, reducing my production to 90% for a few days until I get it replaced. I’ll just replace it and be back up to full production capacity within days of realizing production is down (which is all computer data logged and easy to determine). So, hang on to your seats, the world is about to change in a big way. I took a test drive in a Model S Tesla. It was more fun than a roller coaster ride. The first surreal experience happened just as I rounded the corner onto Sierra College Blvd, shortly after departing from the Roseville, CA Tesla dealership. There on the corner is a larger than normal, gas station. As I was maneuvering around the corner, I gazed over to the right, saw the station and realized…………”If I owned this car, I would never again go there for gasoline.” In the past I would have noted, “There’s a station for future reference”. So this new thought took me by surprise. Later, we meandered to a long straight stretch with no one (and no officers) to be seen ahead or behind. From a dead stop on a back country road, I floored the accelerator peddle. The wheels became light, close to breaking free. I was pushed back in my seat, my eyes were slightly blurred and as I didn’t expect that much acceleration I slightly pulled back on the accelerator. Having street raced 750cc motorcycles in Redwood Canyon (Oakland) and driven the “Sunday Morning Ride” from San Rafael over Mt. Tamalpias (a not so legal Sunday country ride) and zipped around in sports cars most of my life, I was surprised by the torque even though as a Mechanical Engineer I knew it existed. I hadn’t expected to consider reducing how hard I pushed on that accelerator peddle. I was sold. I desire an EV now. Both for the fun of driving it, and for the end of my days of filling up at gas stations. Having thought about it for the past several months, I will far prefer plugging in my car most evenings compared to having to pump smelly gasoline into my car. Every day when I leave the house, I’ll have a full tank of electrons. And now, each time I fill up my car, or take off in the morning and smell gasoline fumes, I’m repulsed. What about the problem of long distance travel? Thinking about this “problem” it seems logical to me that as soon as a lot of EV’s are moving down the roads, every restaurant, coffee shop, store, and who knows where else, will install charging stations. Why not? A driver on a rare, long trip, will be more than happy to pay $20.00 to “fill up their batteries”. After all, we’ve been paying $50 or more to fill up a tank of gas. Given that it will only cost the restaurant $6.00 for that electricity, it’s a revenue generator that increases their main business (food) to boot. “EV Charging Station, coffee shop / restaurant, Next Exit” will be a common future billboard I’m sure. As soon as EV’s take to the road en masse, charging stations will pop up like mushrooms on the second warm day after a long series of cold rains. Meanwhile, the 200 plus mile range will do for almost all of my driving needs and I’ll keep my gas car until the mushroom hunt is easy. We have 2 years before the ITC ends for solar power, so get it while it’s hot. By now virtually everyone knows about the existence of solar power. In the middle of Africa where power grids don’t exist, night time lighting is had via solar power. In many countries there are incentives to help cover the cost of acquiring solar power. In the US, you will receive a 30% tax credit on the entire purchase price including any tree removal or other costs directly associated with installing solar power. This basically means that anyone who pays taxes can purchase a solar power system for 70% of the retail price. Businesses can take an additional ~20% off that price using tax deductions for the accelerated (5 year) depreciation of the solar power system asset. For a solar power company this short term makes good sense. There is no guarantee that unexpected circumstances won’t vaporize the solar company’s asset on the home owners house. For any other company that just wants solar power for themselves, the life of the system is more than 25 years. So this accelerated depreciation works out as an additional discount off of the purchase price. The business that purchases a solar power system lands a whopping 50% discount off of retail. Then they reap a zero dollar power bill every year thereafter. This amounts to a competitive advantage, especially if they are in manufacturing of products that use a lot of electricity. Gas stations have low margins and high lighting electricity bills. Solar helps them increase their profit margins. OK, so what? It still takes 3 to 7 to 11 years for various people to recover their investment, right? And if you need to risk your cash for that long a period of time, then all of the incentives make sense because it seems extremely risky to make the investment in the first place, right? If you, like the majority of people in the US, believe those statements, then you have missed the greatest value solar power systems yield their owners. 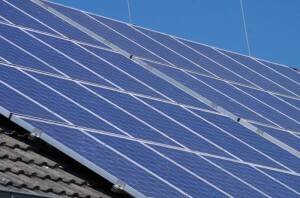 The energy solar power systems produce is normally their second greatest Return on Investment. I assume you read my earlier post and are planning to purchase your system and will not be tricked into signing a Power Purchase Agreement (PPA). But do you also know that a solar power system will yield it’s purchaser the greatest percentage rate Return on Investment in the first year after purchase? In contrast, I am explaining to you here, that you profit the first day your power system is turned on. Here’s why. Suppose you had a 2,000 square foot home, and then you added a 1,000 square foot addition, would you expect to sell your home for the same price it would command when it was only 2,000 square feet in size? The home is now a 3,000 square foot home. There is no way anyone would offer a 3,000 square foot home for the same price they would have asked if it was only 2,000 square feet. If the original home was $200,000, the new asking price would be around $300,000. The same goes for the addition of a solar power system, only more so. When you add a solar power system, your property value goes up. And it typically goes up by more than the cost of the power system itself. Home buyers preferentially purchase, and pay a premium for, solar homes. Today the PG&E territory is just now reaching 5% of its capacity in solar installations. If people really understood the value, this figure would be more like 50% today. Let’s use some common figures to understand what’s going on and why it’s being missed. Let’s assume a common solar power system cost of $30,000 (7.5kW). The 30% tax credit reduces this cost to $21,000. The solar power it produces would amount to around $2,100 per year in California (PG&E territory). You can calculate the value of the energy a solar power system will produce over it’s lifetime at a website called PV Value. What this site does is to calculate the future value of energy your system is going to produce. Then, it discounts that future energy value using historic inflation values. In the end, it gives you a Present Value for Future Energy Production. In other words, if I hand you $1,000 today, it is worth $1,000. If I promise to hand you $1,000 ten years from now, it is worth around $500 to $740 today. Future money is worth (today) less. To determine this figure, you need to make guesses as about inflation. I simply assumed a 3% inflation rate to get that value. And you need to assign a risk that you won’t receive the payment. The point is, income years from today is worth less in today’s dollars, than is income earned today. The study of how this all works is the essence of business finance. The PV Value web site does all this for you. That said, there are values you can enter that alter the prediction so understanding how this all works will improve your estimate of your solar power system’s Discounted Present Value of Future Energy Generation. For the $30,000 solar power system above, we can calculate the energy it will produce and what the value is likely to be. This includes things like the percentage rate the utility rates increase each year. Using numbers I consider as accurate as possible, the 7.5kW power system will produce energy with a Net Present Value of around $55,000 in the PG&E / California market space. So one way to think about acquiring solar power is that you are going to spend a net of $21,000 today and you are going to benefit by $55,000 (in today’s dollar equivalent) over a 25 year period in the form of future energy savings. This is great if I’m going to stay in the home for 25 years. But few people fit that category. Most homes are sold within about 10 years and many people have a 2 to 5 year time horizon. Over 5 years, I won’t break even, therefore, solar doesn’t make sense for me………is the thought many people have. This is how most people think about the value proposition, but this is the smaller half of the benefit. This value estimate entirely ignores the increase in property value. Virtually every solar sales person will let you know how many years it will take you to recover your investment. They are communicating to you, the above value analysis. If you hear a solar sales person tell you how many years it will take for you to recover your investment, you know that you are listening to someone who doesn’t really understand what’s going on. The property value typically increases by more than the cost of the system. And I find that it typically increases by less than the PV Value estimate. For the example above, My first guess would be that the property value would increase on day 1, by around $42,000. This is 140% of the Retail cost and around 75% of the value of future energy production, and about 200% of the net cost for solar a home owner pays, and roughly 300% of the net cost a business owner would pay. I then check the value of the property. Typically, the increase in property value will be less than 15% of the property value prior to adding solar. Let’s pretend we are dealing with a $200,000 property. For this system, the property value should increase by between $30,000 (solar purchase price) and $55,000 (energy value estimate). In other words, if I assume $42,000 is the property value increase realized, then the owner doubled their equity on day 1. I feel one should also verify that the solar power system isn’t too large for the property. I personally use 15% as my upper limit for property value increase based on experience. In this case, the original $200,000 property value * 15% = $30,000. So I would also consider $30,000 as a different maximum value for a different reason. Typically I use double the net system cost as the property value increase. This would be the $42,000 figure. Then I also check whether 15% of the property value is lower or higher. In this case it is lower, so, I would reduce the expected property value increase to be $30,000. If the home value was $500,000, then 15% would be $75,000 and I would leave the $42,000 figure alone. Basically, the higher value the property, the higher the solar power system value can be. For the lower priced home, people typically aren’t going to spend a huge amount on electricity, and so they typically aren’t going to value a huge solar power system to the full extent it would be worth on a higher dollar home. Keep in mind appraisers and real estate agents do not understand this, so you need to provide these figures when you sell. If you use a loan instrument such as PACE (Property Assessed Clean Energy), then you are actually zero dollars (cash flow) out of pocket, and your equity will have increased by the same $21,000 as someone who paid cash for their system. The difference is that for the PACE property, the value went up by $42,000 minus the net loan amount of $21,000 (I assume you pay down on the note using the Tax Credit when it arrives). When paying cash, you increased in value the same $42,000, and you reduced your liquid cash equity for a net gain of $21,000. 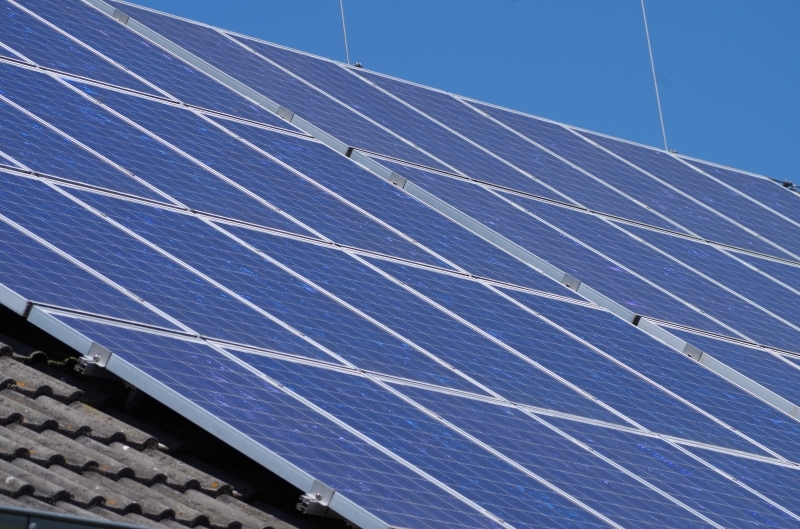 Except for the loan origination fee and interest costs each year, loans can be a great tool to get into solar without disrupting your cash savings. Whether you take out a loan or pay cash, you profit by $21,000 on day 1. If you take out a loan, you of course pay interest on that loan. But typically, the loan payments are below the payments you were already making to pay for electricity. A good way to think about this is that you are paying rent on electricity if you don’t have a solar power system to generate your own electricity. If you own your system, then you are making mortgage payments on your solar equity asset. Notice something very interesting here. Your payments are going to pay off on an asset that increased your home value. They are no longer going to pay for electricity. From the first day your system went operational, you get electricity for free, period. But you do still need to pay for the home improvement that increased your property value and resulted in, free electricity. If you signed up for a Power Purchase Agreement and didn’t read my previous post, then you are paying your solar company rent for the electricity they produce. Do you rent a car to drive to town every day? Probably not. We rent things we need to use once in a while. We purchase things we need to use every day because owning is typically the lower cost path in the long run. Why then would you rent electricity? While it is true that the vast majority of people still rent electricity, this is just herd mentality and the value of solar hasn’t quite sunk in just yet. In defense of people who don’t own solar yet, the value got better in an unusually short period of time, and most people are just now realizing that maybe they ought to look into it. What’s more, there are so many companies out there, how do you know what to ask for? Every solar sales person tells you a different thing. Well, read my articles before you purchase is all I can say. Otherwise, have fun swimming with the sharks. Beyond the immediate profit from increased property value, you also win every year by having electricity you no longer pay for. Even if you have a loan to pay down, you are paying for the equity asset, not the electricity. The electricity is free as a byproduct of improving your home so that it produces it’s own electrical power. The $2,100 per year the above system will generate is additional profit and not the slow pay back most sales people and most property owners think it is. The profit happened on the first day of operation when the property value increased by about double the net cost of the solar power system. You now understand well enough for me to introduce a far better way of thinking about solar. Acquiring a solar power system is like purchasing a Bond. The maturity date of the bond is the date you sell your property (home or business). The cost of the bond is today, 70% of the retail cost of the solar power system. In two years, the cost of the bond will be 100% of the purchase price. The interest earned each year during the life of the bond is about 10% annually. …..we invested above, $21,000 into the system and it saved us about $2,100 per year in power costs. Finally, the value of the bond at maturity is $42,000. It doesn’t matter if you sell this year, next year, or 25 years from now, the value of the solar power system will (paradoxically perhaps) $42,000 in today’s dollars. This is because the power system will never die. One module here, an inverter there, and so on will need replacing decades down the road. But the entire system will never die, ever. No one (ok, there will be some strange reason someone will do this) will ever go back to paying the utility for electricity once they have free electricity. Replacement parts will always cost less than utility power. I’ve watched a number of the shows where people flip homes. What I haven’t seen are any of those people adding solar onto the homes they flip to bump them into a completely different category. Soon they will be doing this and about the time it becomes well known that this profit potential exists, the 30% Federal Tax credit will disappear because it is already, no longer needed. Contrary to what the vast majority of people think, the greatest profit is had by those who install solar and sell their homes within a year or two. The lion’s share of the profit is in equity, not energy savings. This turns the incorrect idea that it takes ten years to recover the investment upside down. Try this. Go to a real estate web site that allows you to perform searches on homes for sale in your area. Then, adjust the area until you see about 100 homes for sale. Then, keeping the area of the search fixed, add the search term “solar” as a specifier to reduce the number of homes listed. Typically in California, this reduced search will have around 5 to 7 homes in it or around 5% to 7% of the original number. Now, if someone is searching for homes in an area, and they happen to wonder about solar homes, they will perform this search. And your home will not have very many others that are both like yours, and, have solar. Thus, they will visit / consider the 5 or 7 solar homes before they wade through the hundred other homes in the listings. This is in part, why solar homes sell faster than homes without solar, and it is why solar homes demand a premium price and sell faster. The incentives are going to run out very soon because the economics already favor going solar without them. So, get your solar power system as fast as you can. In PG&E territory, the limit for solar connections before the end of Net Energy Metering terms 1.0 is going to take place around November 15th of this year, 2016. It’s probably already too late to order a solar power system and get in before the change, but you might just make it if you do so this coming week. We are rushing to build out a couple final power systems before the change takes place. If you want to sell your home, the best way to increase your profit is to install solar first, then sell the home second. And to realize this profit, it is important to set on the counter, a description of why the solar makes your home worth more. I recommend including a pdf print out from the PV Value web site. Copies of your utility bills showing your bills are essentially zero. By just telling people your power bills are zero, your home perceived value increases. If your home shines over the other solar homes, then I would also include a print out of nearby solar homes. But if there’s tough competition, maybe not. Hope this helped. And the next time you write that check to the utility, remember, every penny is being flushed down the drain and could instead be deposited into your home’s equity. If you use your utility payments to pay for a solar power system, you would own it within about 5 years time, though this depends on a lot of parameters, so, 3 to 11 years is a typical range. The larger the power system the faster the pay off. At this site you will find a variety of articles on wide ranging topics. This site will also refer to videos at my youtube.com channel, woodfirepower. In a general sense, woodfirepower and this blog site, are about self reliance. They explore the topics of energy, food production, heating, shelter, and so on. The topics will hopefully stay close to those real people can use to make real life easier or better. 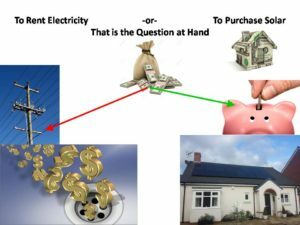 The first post (after this intro) explores solar PV power technology Is it better to purchase the equipment, or to sign a PPA, or Lease? While 90% of systems sold in New Jersey, and perhaps 80% across the country are sold under a PPA or Lease, my post strongly suggests that those customers have made a poor decision. This opinion is counter to what you will read in other posts. And counter opinions are what I focus on. Whenever I can write about a subject where the general consensus holds an opposite opinion, I will. But other topics are just practical. We have a daughter 1.5 years old and son 5.5 years old. My second post will be about the top ten (or more) things you will want to have as tools to more easily raise a child through the first 3 years of life. Rather than a silver picture frame, I will talk about things new parents can actually use, every day, to ease the challenge of raising a baby. My background is as a Mechanical Engineer. I have a lot of knowledge that goes across the science / physics fields of study including a fair amount of Inertial Confinement Fusion research. I have designed and built Aquaponics systems and explored new methods for efficiently growing food while using just 10% of the water used in normal gardening. I worked for a while (and intend to return to this work in the future) on Tesla Boundary Layer Steam Turbine development. I will write several articles on energy of all sorts and solar energy in particular. An up coming article will explore energy storage technologies such as batteries, that may one day connect to create a new network of power generators. To understand what that article will explore, just pretend that you could head down to a warehouse and acquire batteries for energy storage for free. If that were the case, how would our world change? For one, the most expensive component of electric cars would be free, so they would cost less than gasoline cars and win significant market share. Further, you could install (for free) energy storage at your home and business. This would enable you to capture solar energy by day, and use it by night and through stormy winter weather. Having a network of energy storage devices, analogous to the Internet, would change the global energy profile and eliminate wars being fought over oil. So by making some simple, and at present absurd, assumptions we can explore ways the world around us would change. And if we find that some wind up creating a world that we like better than the one we now live in, it might just be worth the effort to attempt to create those particular technologies. Personally, nearly free battery technology would be something I would want to work on developing. Hopefully someday soon I will. In the meantime, I am adding this blog to my youtube channel woodfirepower so that I can present information in both written and video formats.